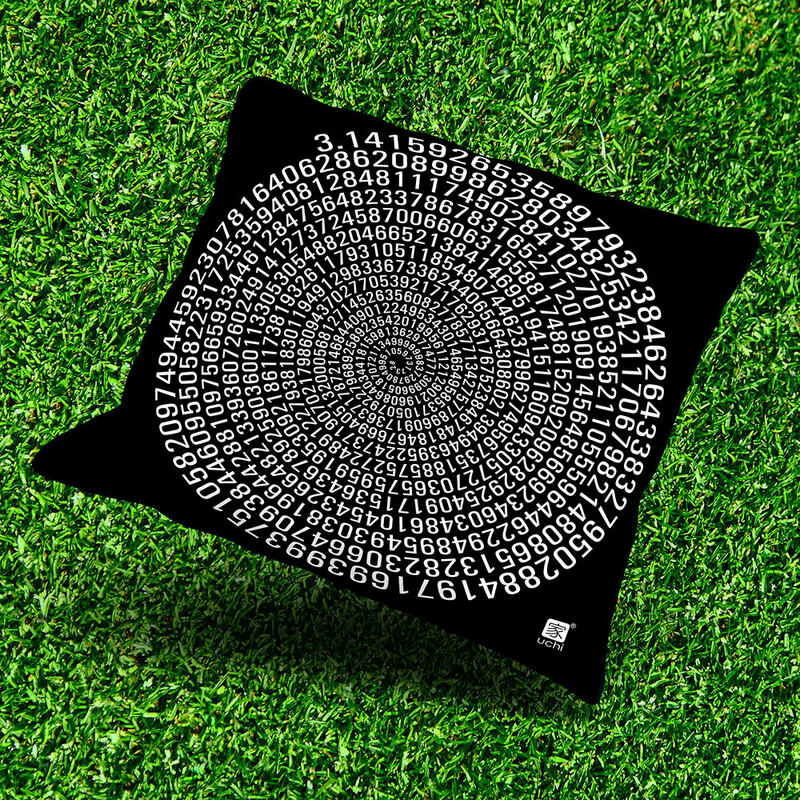 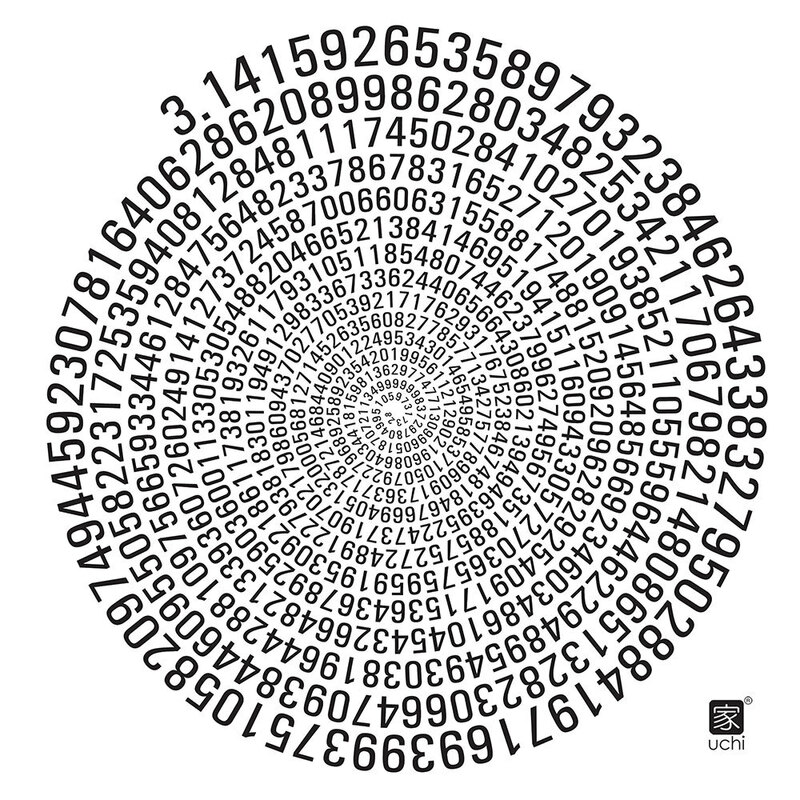 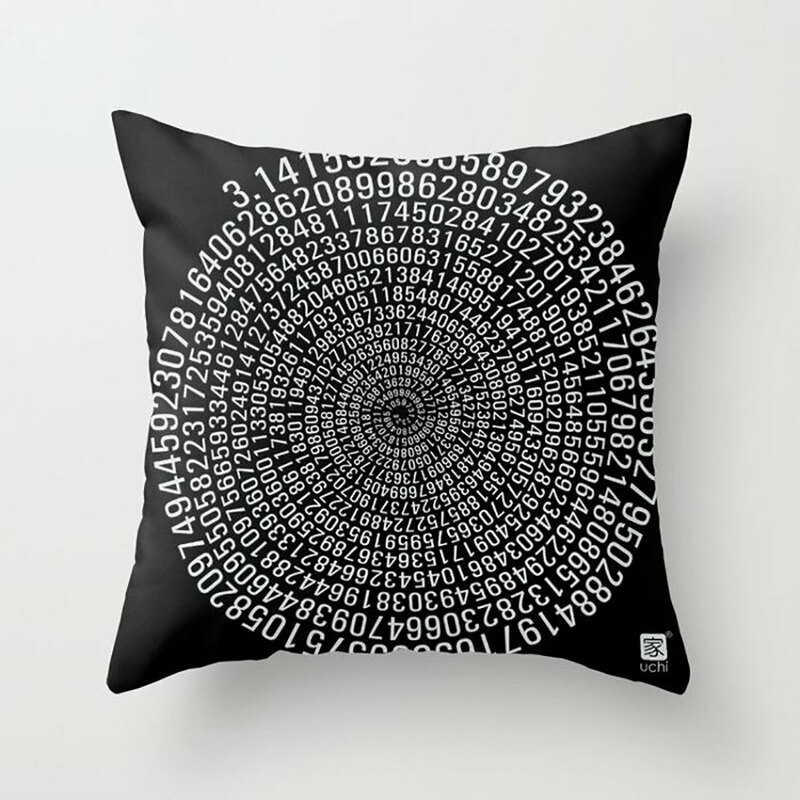 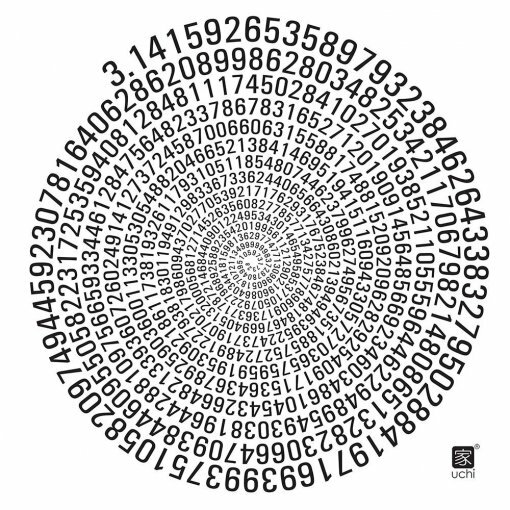 794 decimal places of pi in black and white, hand crafted square outdoor throw pillow. Outdoor Throw Pillow Cover made from weather and fade-resistant 100% spun polyester poplin fabric for your outdoor seating area. 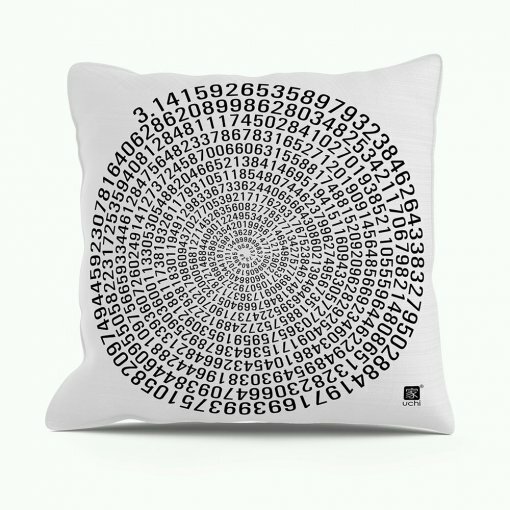 Individually cut and sewn by hand, the pillows range from 16 to 20 inches with a double-sided print. 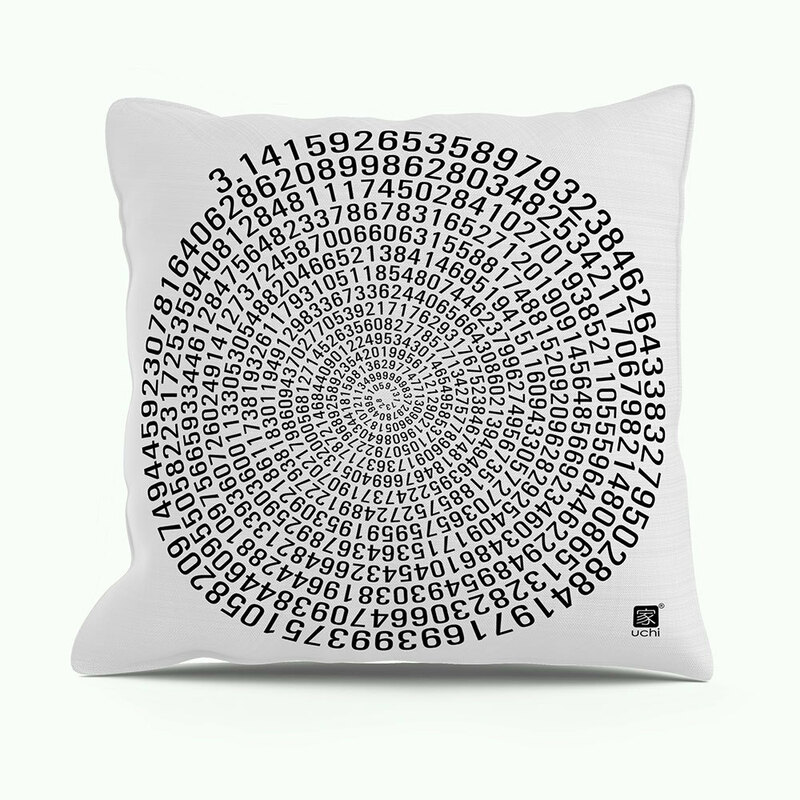 Finished with a concealed zip. 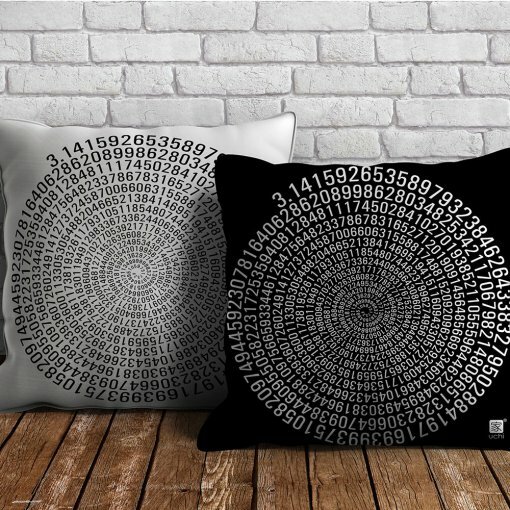 Available with or without insert. 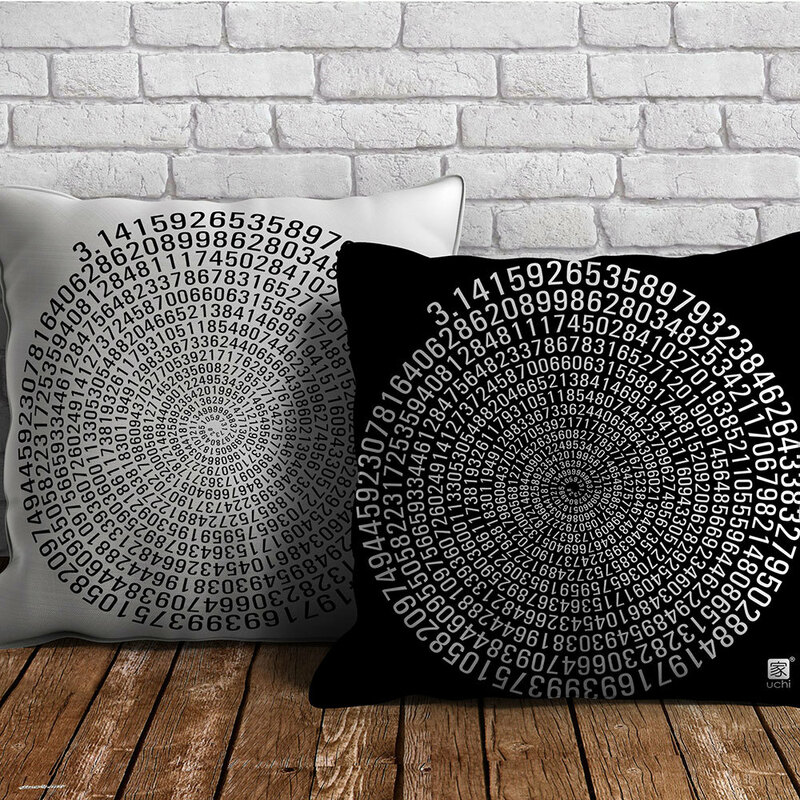 Available in black or white versions. Available from uchi clothing at Etsy.